 The West's understanding of science under communism is painted in broad strokes: the horrors of Lysenkoism, the house arrest of Peter Kapitsa, the banishment of Sakharov, and innumerable accounts of persecution and consignment to asylums or gulags for dissidents, and even nondissidents if they were Jews. Sagdeev's story is different. Born in 1932 he was the gifted son of Tatar parents, his father having been plucked from the peasantry to become a mathematician and teacher. Sagdeev graduated from Moscow State University and proved worthy of mentorship under the likes of Lev Landau, Igor Kurchatov, and Kapitsa himself. 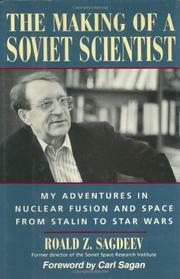 What follows next is a career line in which Sagdeev demonstrated his gifts for science and administration, first in research on controlled fusion--an area where Russian research has been outstanding--and then in space science. Sagdeev was director of the Space Research Institute in Moscow--the civilian space agency. There, and in his earlier positions in the academic city founded in Novosibirsk, Sagdeev fought a constant battle with the military-industrial complex, party functionaries, and the KGB. Sheer wit, intelligence, and bravado enabled him to win more often than not--over assorted villains with nicknames like the ``Big Hammer'' or ``Big Oleg.'' This fighting within the system opened the way to international communications, travel, and scientific collaboration--a pre- glasnost glasnost. It makes for remarkable reading, often laced with insights into Russian thinking and humor. It is not without interest that Sagdeev's editor and the cause of his ``heart'' drain to America (where he teaches physics at Univ. of Maryland) is his present wife--Susan Eisenhower, granddaughter of the man who coined the term military-industrial complex.